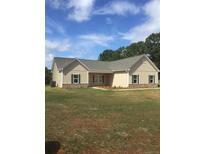 Below you can view all the homes for sale in the Wendover Hills subdivision located in Statesville North Carolina. Listings in Wendover Hills are updated daily from data we receive from the Charlotte multiple listing service. To learn more about any of these homes or to receive custom notifications when a new property is listed for sale in Wendover Hills, give us a call at 704-585-7848. No HOA! This one won’t last long. MLS#3496283. Golf Realty, Inc. Basement features 3 big bedrooms, full bath w/ double sinks, kitchen and family room. Home has ample storage. MLS#3466621. Roost Real Estate. Look no further we have broken ground and have started this new home, Will be complete by end of April... Current photo is of previously built home by builder... MLS#3425606. Keller Williams Mooresville.